Creating your eBook can be easy. Just "copy and paste." If you are ready to write an eBook, we are assuming you have a website. Use the content from your website/blog to create your eBook. We discuss 3 simple steps to identify the "right" content and how to easily use your existing content to create your eBook. What's more, there's no need to re-write your existing content. Just "copy and paste." Russ has tremendous experience with writing an eBook. Ebooks are different than a traditional published book, but basically is an electronic file which can be downloaded and read as an electronic book. Ebooks are cheaper and can be as long or short as you want. There are several reason why you might consider writing your own ebook to grow your practice and/or market your organization. We all need to be asking for a review from our patients. Online reviews are essential to every marketing plan and are integral to the next patient's decision to make a new appointment. 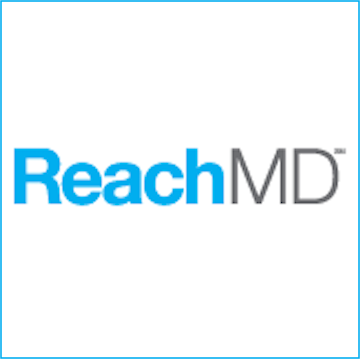 Asking for patient reviews is much more acceptable and commonplace than just a few years ago. Here our some suggestions how to effectively and seamlessly make your request. What's the proper way to ASK someone to guest blog for your website? We discuss tips and recommendations on how to properly make a request and make your request irresistible! Guest blogging can be mutually beneficial for you and your guest blogger! Here's how. Enjoy! Russ and Randy. How do you become a guest blogger? In this episode Russ and I talk about strategies to increase your opportunity to create quality backlinks to your website by guest blogging. You want to send a personal request the the webmaster to become a guest author, but only after doing a little research. We make some suggestions how to do this and make your offer as irresistible as possible. Enjoy! Use images to enhance the readability and increase the shares of your website articles. Images invite your reader to click, open and read your article. Images make your article more likely to be shared. Listen for our favorite sites to obtain "legal" images cheaply and how to best optimize them. Enjoy. When do you need to use encrypted messaging (text or email) when communicating with your patients? Encrypted messaging is mandated by HIPAA when protected health information (PHI) is involved but is NOT required in your email newsletters and such regarding general educational material. 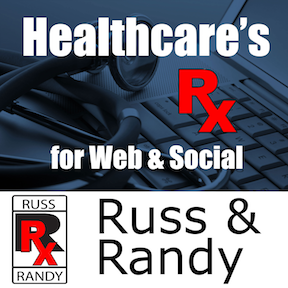 Russ and I are NOT attorneys and are not offering advice in this episode, but we do highlight some potential pitfalls when considering HIPAA compliant message encryption with your patients. Enjoy. LinkedIn and Doximity are two very popular social media platforms in the healthcare industry. Unlike most social media platforms you may choose to use, these particular platforms are geared toward professionals; business professionals and healthcare providers. Use of LinkedIn may benefit you in other ways than attracting patients. We are curious how many of you are using Doximity and for what purpose? Search engines rank individual web pages, not websites. Some of your web pages of your website may rank well, others may not. To insure your pages are ranking as high as possible, make sure to optimize each individual page. This is particularly true when crafting your "About" pages. Russ interviews Bryan Vartabedian, M.D., a pediatric gastroenterologist who is was an early adopter of the digital world. He is a renowned expert on social media, technology and the future of medicine. Interestingly, Dr. Vartabedian built his digital footprint to help his colleagues, not patients, learn how to use the Internet. Listen how the creator of 33charts.com has successfully used the Internet to improve professional and business opportunities in contrast to simply building his practice.